Log into the system, and then access the Setup menu. Select Store Settings tab, and then the Message tab in the lower part of the window. Use the Save Store button to save your changes. If you would rather create a monthly GL then while in the day end window, you will see a button at the bottom of the screen labeled “Create GL <month>” with the previous month listed. For example, if the current month is January, then the button will display as Create GL (Dec). 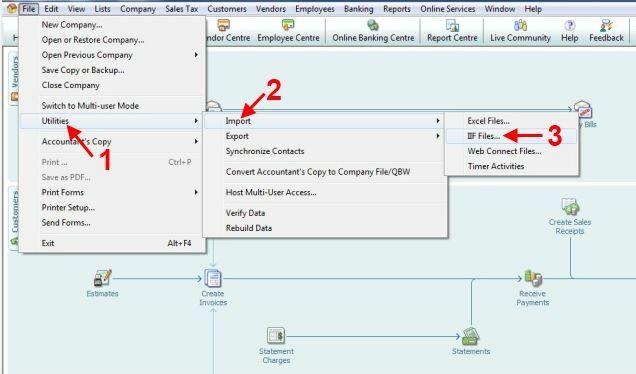 Selecting this button will export a general ledger for the month listed. 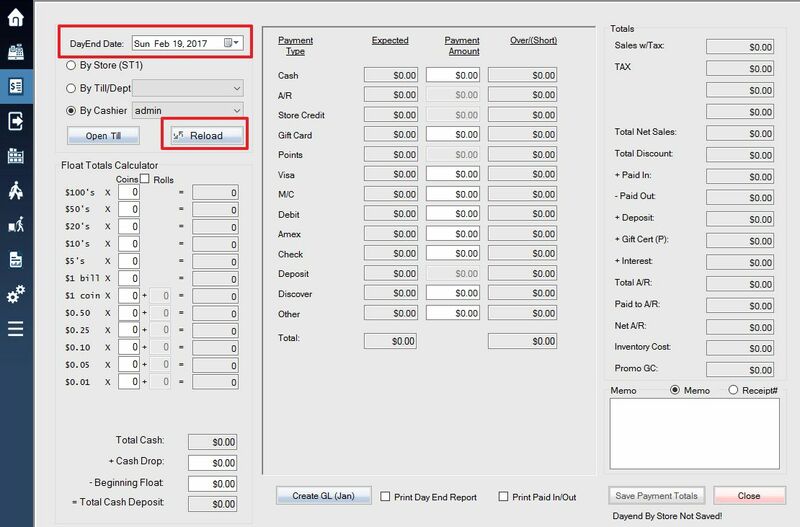 The date in the screenshot is February 1, therefore the Create GL button will create a ledger for January. 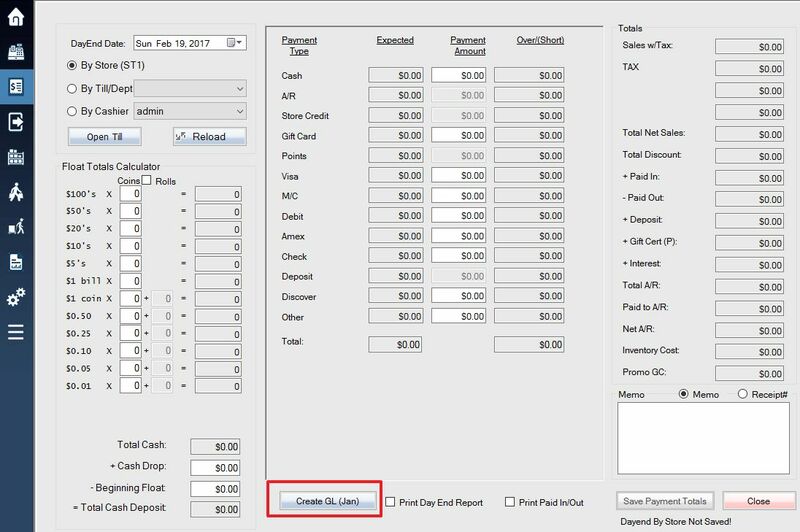 Please note that all day ends must have payment totals entered under the Payment Amount column for the file to be created properly. 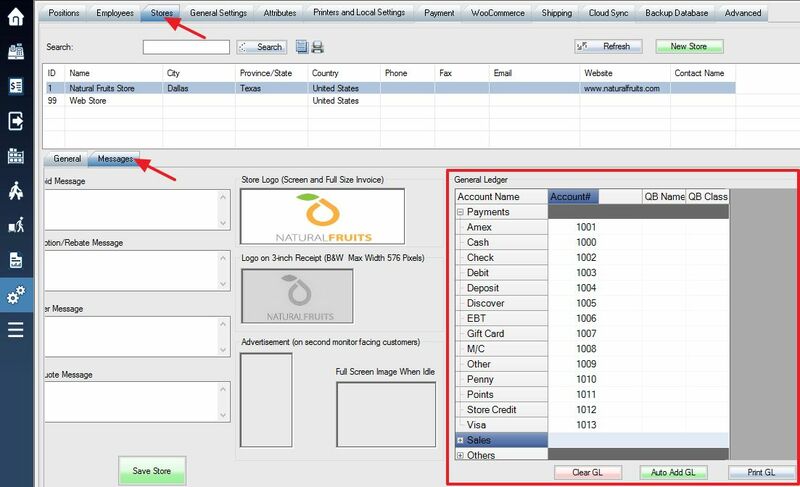 In order to import the GL file into Quickbooks, open your company file. Then select the file menu at the top left of the menu bar. Use the drop down menus to select Utilities, followed by Import, and then IIF Files. You will be prompted to select an IIF file. By default, SooPOS places its exported GL files into the GL_OUT folder inside your SooPOS data folder: C:\SooPOS\GL_OUT. 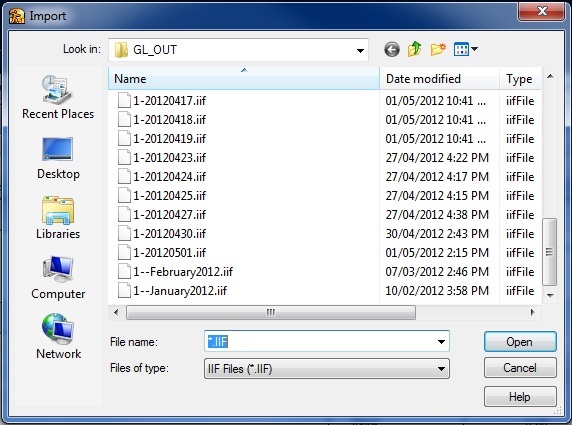 The files end with .iif and are named according to the date they were created, either a specific day or an entire month, depending on how you prefer to import your information. NOTE: If you forget to populate an account you may get an error when attempting to import the file. You can open the Text (.txt) or Excel(.csv) format of the file produced to the date to review the results.